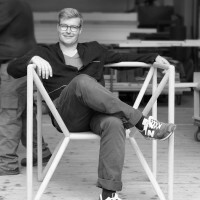 Vienna-based designer Thomas Feichtner has created the M3 Chair. 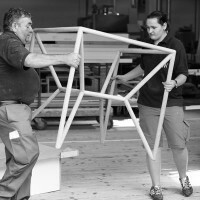 For Vienna Design Week 2011, Neue Wiener Werkstätte will be showing the M3 Chair developed specifically for this exhibition. 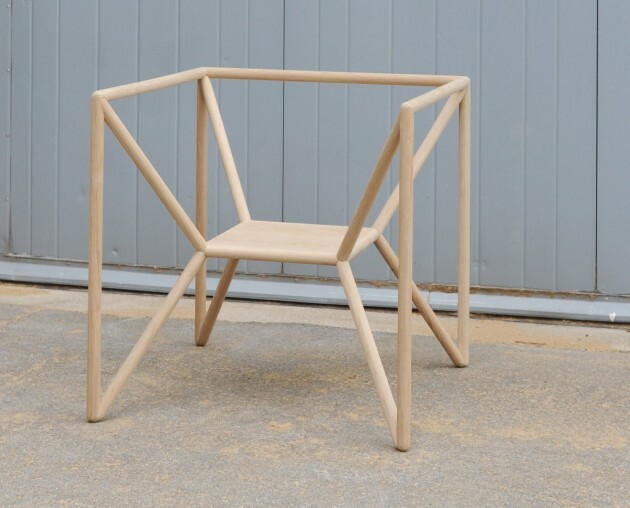 This unique object will be juxtaposed with the mass-produced FX10 Lounge Chair, an earlier work by Feichtner which has since become a classic of Austrian design. While these two pieces share a geometric theme, the M3 Chair exhibits an open, wooden cantilever construction that contrasts with the closed body of the Lounge Chair. The installation highlights not only the tension between closed and open, heavy and light, surface and line, and mass-production and the single copy, but also the symbiosis between traditional workmanship and contemporary design. These pieces thus embody Neue Wiener Werkstätte’s ideal of hand-producing technically perfect individual products built to last generations, furniture designed to guarantee historical recognizability—the perfect union of hand-craftsmanship, tradition and design. Liberated from the demands normally made on a mass-produced item, this design experiments with functionality, structural engineering and material. Both its back and its armrests are mere tangents of the construction, the functions of which are only discovered via actual use. With a seating surface floating within the construction and legs extending far to the sides, the M3 is most assuredly not a chair that saves space—it is much rather one which creates a space. 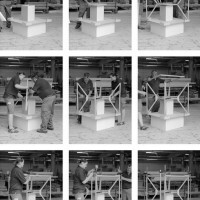 The dimensions of the M3 measure one cubic meter, standing for a conscious way of appropriating one’s own space. 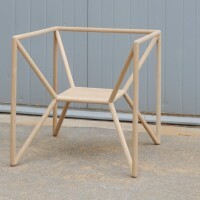 Hence the “m3” reference in the name M3 Chair. It is only via the chair that the open space is defined. 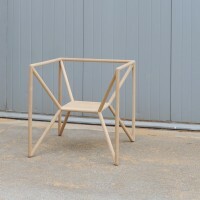 The chair is made of one and only one material: oak. This is a conscious choice of materials, harkening back to the woodworking tradition upheld by furniture workshops of yore. The wood renders the chair’s light construction a static experiment which could only succeed in a handmade, unique item. Like many works by Feichtner, the M3 is to be understood as an artistic and experimental examination of design removed from industry and mass-production, as art and design placed in interdisciplinary dialog with one another. The M3 experiment is particularly well-suited to showing that design can free itself from the doctrine of the purely objective and is not automatically obligated to serve industrial utility. It represents a catalyst for the discussion of various positions. The M3 is a contribution to the design festival of the City of Vienna. 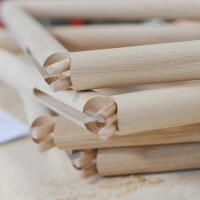 Watch a short video of the making of the chair – here. Visit Thomas Feichtner’s website – here.